The presence of septal spur may cause various pathologies by affecting the development of the inferior turbinate, osteomeatal unit and uncinate process. We aimed to compare the changes of the angle with inferior turbinate and the maxillary medial wall of the uncinate process in patients with septal spur by normal population. In the study, 138 patients with septal spur and unilateral septum deviation and 83 patients without septum deviation were evaluated retrospectively. The angles of the inferior turbinate and the uncinate process with the medial wall of the maxilla were measured at the ostemaetal unit level. 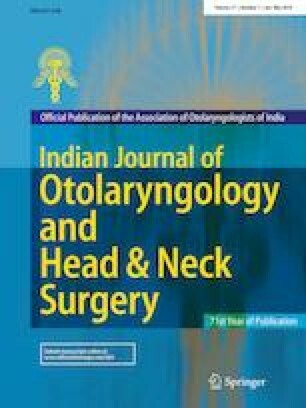 The changes of the inferior turbinate and the uncinate process with the maxilla medial wall compared to the opposite side of the deviated side and the normal population were compared. Angle of the inferior turbinate with the medial wall of the maxilla is significantly smaller in the side with septum deviation to the side without septum deviation and normal population and significantly large in the side without septum deviation to normal population. Angle of the uncinate process with the medial wall of the maxilla is significantly large in the side with septum deviation to the side without septum deviation and normal population and significantly smaller in the side without septum deviation to normal population. Presence of septum base crest are thought to cause structural changes at the inferior turbinate and the uncinate process. We recommend to break the inferior turbinate at the concave side in patients with basal crest. All authors have confirm that the paper is not under consideration for review in any other journal. All authors have made contributions to the paper, and have reviewed it before submission. The authors obtained the written informed consents from the patients for publication of the report. All procedures performed in studies involving human participants were in accordance with the ethical standards of the institutional and/or national research committee and with the 1964 Helsinki declaration and its later amendments or comparable ethical standards.